“Memorie Di Uno Sparring Partner” marks the return of Maurizio Di Tollo (Distillerie di Malto, Moongarden, Maschera di Cera, Hostsonaten), three years after his successful solo debut “L’uomo trasparente”. This record represents a major step forward on the path of his artistic maturity, assisted by a dream-team of musicians of the Italian and International music scene. The tracks on this record range from progressive rock to a more Italian traditional songwriter style. The list of the guest artists involved is really extraordinary: David Rhodes and Ged Lynch Peter Gabriel), Vittorio Nocenzi (Banco del Mutuo di Soccorso), Roberto Gualdi, Fabrizio Barale, Andrea Cavalieri, Nicola Oliva and many others, to act as a corollary to Maurizio’s voice, more self-confident and free than ever. His songs are stronger, compared to the more intimate atmosphere that characterized his debut. 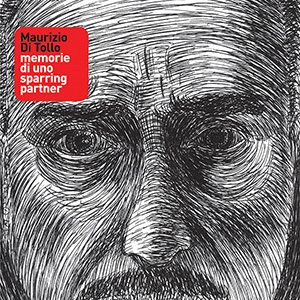 With “Memorie Di Uno Sparring Partner” ( = memoirs of a sparring partner) Maurizio Di Tollo explores different solutions and expressions looking beyond his previous experiences. With honesty, passion and courage. Artistic production by Christian Marras and Eros Cristiani.